Great photo - just wish I could get as close without them all diving off. Wow, population looks like it is doing well Will. @chubsta - they were very skittish til the first spawn was laid - I think Gemma mentioned a couple of days ago that they get so much easier to approach once the first clumps appear (at least in my experience too) - even if they dive they soon pop up, perhaps the feel/smell of the spawn has some overpowering effect on them! 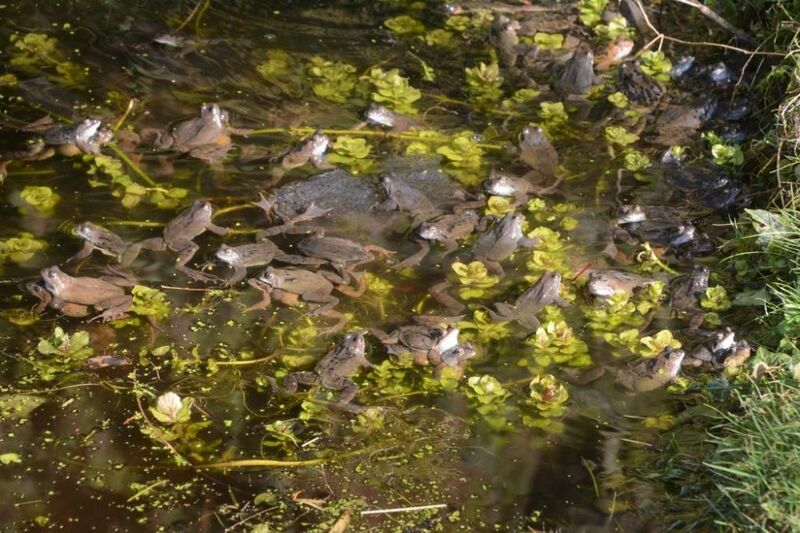 @Gemma - I'm really pleased with them - the pond was dug around six years ago and numbers built up til last year when we had a really quiet year and I was afraid the newts had done their predictable work on the tadpoles and therefore recruitment into the adult population; but this year, I have counted c350 frogs of which around 150 are females, by contrast with past years when males have outnumbered females 3 or 4 to 1. This is in spite of the cold winter and the ice that formed during the 'beast from the east' week when there were over 100 in the pond and I feared the worst. Resilient wonders! Have to say my frogs never lost their skittishness and dived for cover at slightest thing. The amount of tadpoles you'll likely get is going to be fantastic. Although I think Lalchitri is probably going to beat us all this time. Will, what is the weed I can see in your pond? It's just common or garden water mint, Mentha aquatica - the submerged form has rounder, lighter green leaves; by mid summer it will be rampant around the edges of the pond - it's what my southern hawker dragonflies use to emerge from the pond on. That's fantastic Will! You might lament the lack of slow worms but that's generally how it is all over isn't it? Often, where one type of herp is absent or rare, another does really well. If i target the flatter, more arable parts of Glos i don't expect to find much in the way of reptiles (aside from grass snake), but the amphibians are frequent, and it's generally the reverse situation for the hillier districts with rough grassland and old woodlands. 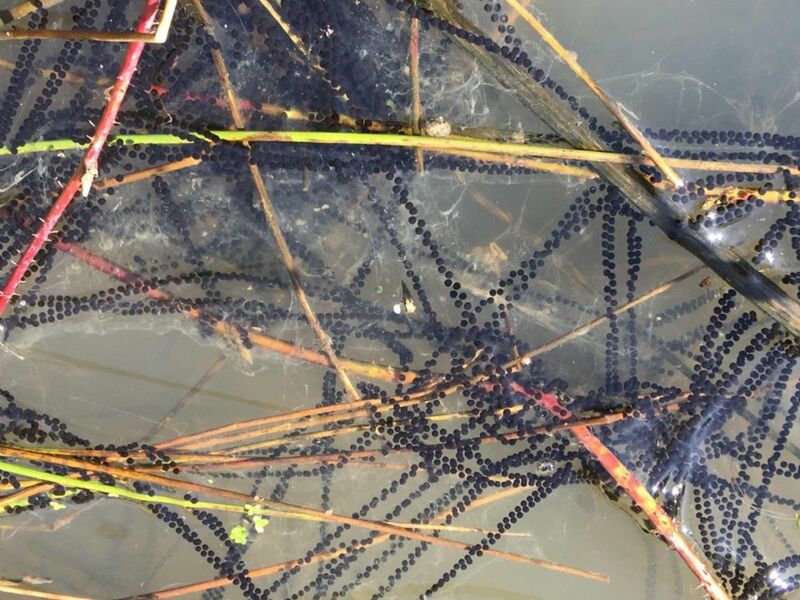 A work colleague reported some strings from south Wales a couple of weeks ago, but i spotted my first toad spawn in a Dorset Forestry Commission pond on 26/3/18.